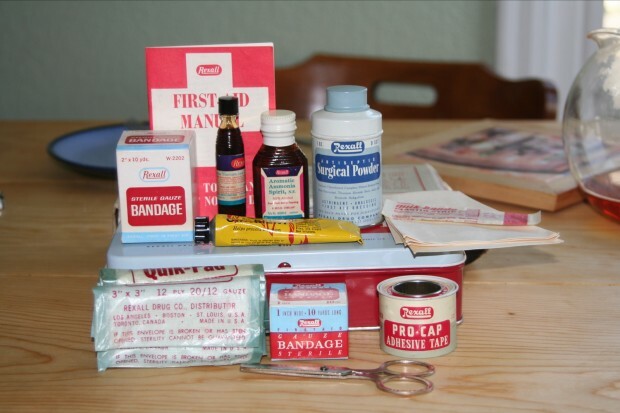 First Aid is not just about applying a Band-Aid, popping a Panadol or fixing a twisted ankle. There is much more to be learned in a first aid course than dealing with finger cuts, healing sprained ankles or handling runny nosebleeds. Some of the procedures taught in these courses include processes that are extremely complex and involve lifesaving techniques for life-threatening situations such as cardiac arrest, hyperglycemia and choking disorders. Therefore, it is mandatory for everyone to take at least a basic course in first aid training to equip themselves with the basic tools to deal with any cataclysmic situation. If you are a resident of Calgary and looking for learning some First Aid tactics, you should search for First Aid courses Calgary on the web. There a couple of informative courses being offered that will help you understand the basics of First Aid. But before you take any such course, let use educate you about seven useful First Aid tactics for emergency situations. For starters, you should know about the symptoms of a heart attack. A patient undergoing such an attack will experience extreme and persistent central chest pain spreading from chest area to neck and then to arms. Blue lips, irregular pulse and breathlessness are some physical signs of a cardiac arrest. In such a situation, call the rescue ambulance. Lay down the victim in a “W” position and give him an Aspirin to normalize the blood flow. Choking can be recognized by sudden breathing problems accompanied by loss of consciousness after a while. The victim’s skin and lips will turn to a shade of blue. In case of chocking, the standard Red Cross approach suggested by the experts is the “five-and five”, which includes giving the patient five back blows with the heels of hands followed by five abdominal thrusts. Keep on switching between these two until the patient is fully recovered. The best response to an allergic reaction is to call the ambulance as quickly as possible. If the victim is unconscious, check for his breathing pattern. If it is irregular and slow, give him chest compressions and place him into recovery position. Also, search the victim for any allergy medicines he could be carrying with him before the accident. Fractures can be recognized by the swelling of skin, bruising or any other kind of deformity. For open wounds, clean, rinse and dress the affected area first. For a closed fracture, immobilize the broken area, and apply ice to alleviate the pain. Make sure that there is no excess bleeding and call for an ambulance as soon as possible. If a painkiller is available, give the patient a recommended dose. Do not rub the affected area or move it without any support. The treatment for a bleed is a two-step process: put pressure through a pad, then elevate and apply bandage. If the bleeding doesn’t stop even after the aforementioned procedure, do not remove the bandage. Keep on applying an additional coverage instead of removing the first one. Call the ambulance and ensure that you make minimum contact with the victim’s blood. If the cut is small, clean it with water and apply antibiotic. End by properly dressing the wound. A stroke can be recognized by the famous FAST (face, arms, speech, time) approach. A person undergoing a stroke will only be able to give a one sided smile, move one arm only, and will not be capable of responding to a question in time. If you believe that the victim is suffering from this condition, call the ambulance immediately. Meanwhile keep the patient in a comfortable place and keep on checking their breathing and heart rate. If you believe that the patient is experiencing sudden drug poisoning, you should call an ambulance right away. Meanwhile, if the victim is unconscious, check for breathing and heart rate. If his breathing is normal, help him into a recovery position. For a conscious person, do the same but also ask him questions about what he had that induced such a response. Do not give him anything to eat or drink so as to avoid vomiting.